Welcome to pngBuynRent.com, Papua New Guinea’s one stop real estate website. We are a real estate advertising website, advertising all real estate including residential and commercial properties for sale and rent on behalf of PNG real estate companies, PNG property owners and PNG developers. 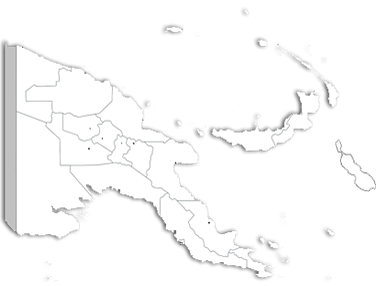 Advertising all PNG rental and sales properties in one central website for the convenience of property seekers also results in maximising the potential of advertised properties being viewed and therefore increasing its selling and rental potential. The PNG internet market is predominantly mobile phone based so to maximise the potential of advertised properties being viewed we also have a mobile website specifically for mobile phones. This provides visitors to www.pngbuynrent.com the option to view our website on their preferred device whether it’s a mobile phone, tablet, laptop or desktop, our website is optimised for all these devices. Simply enter www.pngbuynrent.com in the URL field of your browser and you will be automatically taken to the site that best suits the device you are using. to trial our obligation free advertising offer. For details of our advertising packages please fill in the quick contact form to the right of this page and we will promptly send you details of how to take advantage of this obligation free advertising offer or alternatively email us directly on pngbuynrent@pngbuynrent.com. pngBuynRent.com invites all property seekers looking to buy or rent property in the PNG real estate market particularly the Port Moresby real estate and Lae real estate market to browse our growing database from the convenience of your home, office or anywhere on a mobile phone 24/7 to find that perfect property. We are not a real estate agent or company we are a website offering a convenient, new and exciting way to advertise PNG real estate for sale and rent. Majority of the properties listed on www.pngbuynrent.com are from the Port Moresby real estate market with the remainder from other centres including Wewak, Madang, Goroka and Lae real estate market. Going forward we will maintain our efforts on the Port Moresby real estate market but focusing our attention on the other PNG centres starting with the Lae real estate market.